Best Flight Deals to Las Vegas. Travel between 11/10/2015 untill 6/15/2016. $50 off $1000+ Vacation Package. Save up to 35% when you rent with Hertz. Get 20,000 TrueBlue® points after you spend $1,000 with your Card in your first 3 months of Cardmembership. See site for details and restrictions. Applies with JetBlue American Express card enrollment. On JetBlue your first checked bag flies for free. Each checked bag must not exceed 62" (157.5cm) in overall dimensions (ie. length + width + height) and must not exceed 50 pounds (22.73 kilos). Applies to 1st checked bag. Pack your bags! Whether your next trip will take you to the Big Apple or the Caribbean, JetBlue gives you the wings to get there. Make a smooth landing with savings from a JetBlue promo code. Wouldn’t it be nice if you could just jet from Austin to Denver to visit a friend without a second thought? Or head from New York to L.A. just for the weekend? JetBlue makes it possible with low airfares and great service, bringing you closer to the people and places you love, even if they’re far away. Whether you’re packing up for a business trip or a romantic getaway, JetBlue can get you there. With destinations all over the United States, Caribbean, and even some in South America, JetBlue can get you to just about anywhere you need to go. 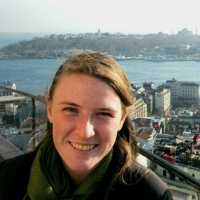 Their fares some of the lowest you’ll find, but that doesn’t mean that they skimp on service. In fact, JetBlue introduced and adheres to a Customer Bill of Rights to make sure you have the best flying experience possible. What can you expect on a JetBlue flight? First of all, expect comfort – JetBlue has the most legroom in coach seats, and you can purchase Even More Space seats for a low fee. You can also expect less hassle when dealing with your baggage, because your first checked bag flies free. JetBlue also offers free DirecTV and WiFi on most flights, plus complimentary drinks and yummy snacks you can purchase. JetBlue was founded by David Neeleman in 1999 with the goal to “bring humanity back to air travel.” They began with only 75 takeoff and landing slots in New York’s JFK airport, and now serve over 80 destinations. They have since partnered up with other airlines including Aer Lingus, Lufthansa, Air China, and many others. Besides making air travel more affordable for everyone, JetBlue is also making an impact on the industry with their Jetting to Green program. The goal of this program is to reduce their carbon footprint by operating fuel-efficient aircraft and adopting environmentally friendly practices both on-board and on the ground. Next time the blue sky is calling, book your trip with JetBlue. Don’t forget to use a JetBlue promo code for highflying savings. 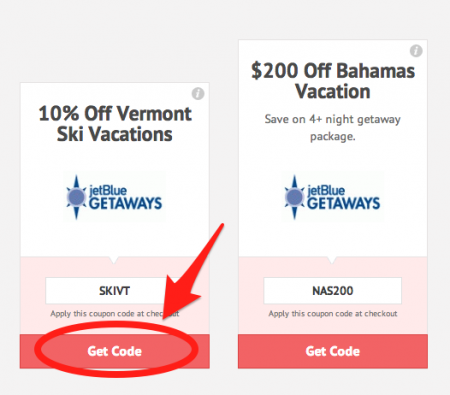 First, at CouponPal.com, find a JetBlue coupon code that looks good to you and click "Get Code" or "Get Deal." Some promos won't require a coupon code; the savings will be automatic. If you picked a coupon that does require a code, a new window will appear showing you the code. Highlight and copy it so that you can use it later. Next, you'll need to go to JetBlue.com/promo and choose your origin and destination cities. Then, at the bottom of the page, paste your JetBlue promo code. 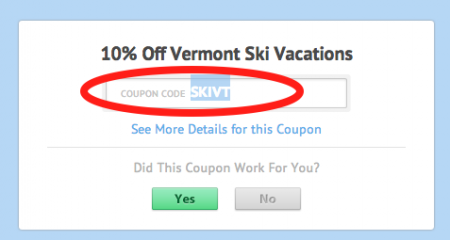 Then click "Find Flights" to apply the coupon code and continue with your flight search. Note that you will not see your discount until you actually choose your flights at the next step. Now you'll see a variety of flight options for your destination. Choose the flight that you want by clicking the little circle above the price. Once you've chosen your departing and returning flights, click "Continue" to proceed to make your booking. Next you'll have the option to sign in to your True Blue account, create an account, or make your booking without one. Then you'll need to enter passenger information and choose your seats. Finally, enter your payment information and submit your reservation. Happy Travel, and Happy Savings! If you’re looking for comfortable, convenient, and affordable travel, JetBlue is the best place to go. You will always get the best rates, routes, and seating options available to get you to your desired destination. If you have any questions about reserving your flight accommodations, read below to find the answers. Why isn’t my JetBlue coupon working? If you are trying to use a JetBlue coupon and it won’t work, chances are, it’s expired. Make sure you check and see what the end date of the offer is, and see that it hasn’t already passed. Another possibility is that there are restrictions on the coupon. Some offers are only valid on purchases of a minimum amount, or on purchases of certain items. Check the coupon you want to use make sure you know what the restrictions are. You might see a small “i” or “information” symbol in the upper right hand corner of the coupon. Click on this to reveal the coupon restrictions. If you don’t see an information symbol, then either there are no restrictions on the validity of the coupon, or you may have to check JetBlue.com to find out more information about the offer. Changes, cancellations, and refunds on JetBlue tickets are available, but certain fees may apply. You’ll need to contact a JetBlue representative to make any of these changes. See here for more information. How can I contact a JetBlue representative? You can get in touch with the JetBlue team by calling 1-800-JETBLUE (538-2583), or you can email them from this form. 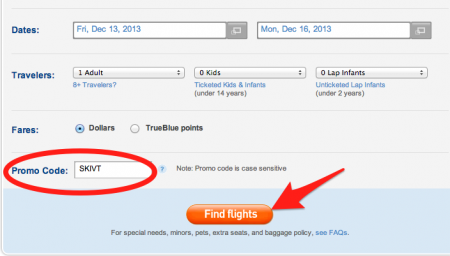 If I find a JetBlue deal that you don’t have on your site, can I add it to your page?